Unlike the other sections of the IELTS exam, the speaking test may be taken up to 7 days before or after the other 3 tests. 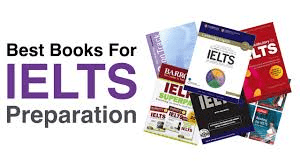 I recommend taking all sections of the IELTS tests on the same day and get done with it. If however you have a busy weekend then it's good to know that you can at least move the speaking test around. Part 1 is an interview about you. The examiner will ask questions about you, your family, your studies, your job etc. There are no right or wrong answers here so just be yourself and don't over think your answers. Speak for 4-5 minutes for this section. In Part 2 you need to speak for up to 2 minutes about a topic. The examiner hands you a card with some questions. You have a few minutes to prepare for this before the examiner starts the tape recorder. Part 3 is a general discussion related to Part 2. This is more interactive and impromptu and you are not given extra time to prepare for this part. Your voice will be recorded for each of these sections using a tape recorder. There have been instances when examiners have forgotten to start the tape recorded for the exam and candidates were called again to take the speaking test :) .. so make sure that your examiner hits the record button before you start speaking. That wraps up our speaking lesson for today. Click on Mark Complete button below and move to the next topic when you are ready.